How do you discover a new chemical element? And will we ever complete the periodic table? "Will the periodic table ever be complete?" asks Philip Craven on Twitter. In 2016 four new chemical elements were given the official stamp of approval - nihonium, moscovium, tennessine, and oganesson. And 2019 was named by the UN as the International Year of the Periodic Table. In this episode, Hannah and Adam dive into the test tubes of history to hear why the first element was discovered in boiled urine, why chips don't explode and how a cancelled trip to a cheese factory resulted in the creation of the periodic table. We'll hear from Dawn Shaughnessy from Lawrence Livermore National Lab, part of the team that discovered the latest 'superheavy' elements. Science writer Philip Ball shows Adam around Humphry Davy's lab equipment at the Royal Institution of Great Britain and Jim Al-Khalili explains why scientists are eager to reach the Island of Stability. We are “hardwired” for recognising faces and it starts at birth. 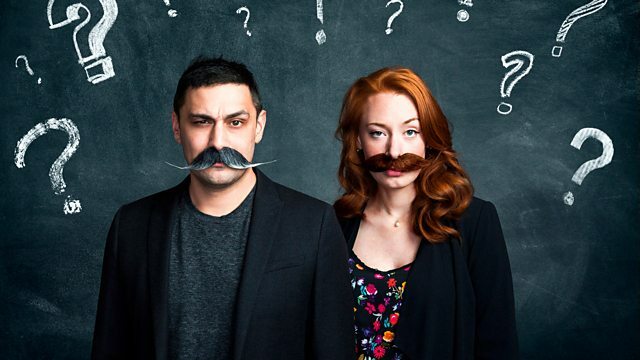 Science sleuths Dr Adam Rutherford and Dr Hannah Fry investigate everyday mysteries.